When I decided to become a vegetarian, one of my biggest skeptics was my dad, a meat-lovin’- midwestern-raised-amazing-chef-of-a-dad! Growing up with two working parents meant that sometimes we were on our own to cook up dinner, but when we were able to sit down for a family meal together, it was very special. My parents would go all out. Pork chops. Seafood. Steak. Or my childhood favorite, spaghetti with meatballs. When I told my dad I was going to the veggie side, he was worried that as an athlete I wouldn’t get enough protein. Now when I’m home, my dad makes vegetarian meals just for me (without complaining), and loves getting creative with my new lifestyle choice. That’s the best thing about my parents. They support me through and through. So given that I grew up in a meat-loving household, my brother’s favorite food is bacon, after all…why did I decide to become vegetarian? It’s a question people love to ask vegetarians, and I love to answer it! For me, the decision to change my eating habits was because of (1) digestion, (2) sustainability, and (3) inspiration! Research proves that consuming less meat, especially less mass-produced meat, would make our mother earth a greener and more sustainable place. As an eco-conscious consumer, eliminating meat was a bonus to trying to leave as small of a “carbon footprint” as possible (as my dad likes to put it) on this miraculous planet. Can’t go meatless? Try to buy local and organic as much as possible! We can all make small efforts to make our world live a little longer. While traveling with my best friend, Madeline, last year, we ate only vegetarian. In Prague, we discovered some of the BEST vegetarian/vegan food I’ve ever eaten. I still dream about the soups, noodle dishes, and desserts we devoured while on our eat-love-pray mission. ^ a glimpse at our eats throughout Europe: Barcelona (Brunch & Cake), Sevilla (Acai Bowls), and Prague (Brunch)…mouth watering! My mentor, Jamie King Fit, also inspired my shift to the veggie life. Jamie is a long-time vegetarian and amazing athlete. I knew if she could run 100 miles and enough protein in a plant-based diet, I could surely do the same. Last, my equally fitness lover, yogi, and tree-hugging best friend of six years, Camie, is also a vegetarian! All of these vegetarian gurus inspired me to make the change. Back to the one million dollar question…how do I get enough protein? Simple. The following five ingredients are my go-to, but definitely not the only options! Eggs. There is the debate about whether vegetarians should eat eggs or not…philosophically it is up to each vegetarian to decide, but I do eat eggs. I like eggs (Debbie from The Amanda Show, anyone?). I love eggs! Eggs are my go-to protein. I can add them to any meal and feel full and ready to take on my day, workout and everything. With 6 grams of protein, one Eggland’s Best egg supplies 13% of the daily protein protein. Add two eggs to a morning scramble with seasonal veggies, and we are 26% of the way there. EASY. Beans. Beans, beans, the magical fruit…the more you eat…the more you get your daily protein? Legumes are a super protein, in my mind. Depending on the bean, one cup can have up to 15 grams of protein. Black beans and garbanzo beans are my go-to choices! Add them to a salad, stir fry, or bake with spices for a crunchy snack, & we are good to go. That’s an additional 28% of daily protein. Half way there! Peanut butter. Don’t get me started. I love peanut butter as much as my dog loves PB (she really loves it). Yes, peanut butter has fat in it, but the good kind (mostly unsaturated fats), which get this, can actually help you lose weight and gain muscle. Two tablespoons of peanut butter has 8 grams of protein. Add it to a smoothie, yogurt, banana, or eat it off the spoon for a snack and BOOM, we are at a daily 73% of protein fulfilled. This is easy, right? Protein-rich vegetables. Who knew vegetables have protein? I didn’t until I became a vegetarian! What an awesome surprise! All of the following vegetables have 3 grams of protein per 1 cup serving: kale, broccoli, avocado, mushrooms, and brussel sprouts (to name a few)! Take 1/2 cup of each and make one big salad, and BAM we are at another 7.5 grams of protein…totaling 85% of our daily total! Tofu. Tofu has an acquired taste for most people; however, I love it because each time I cook with tofu, I start with a blank slate. It takes on the flavors you cook with. Tofu is a water based protein, made of soy. My favorite way to cook tofu is in a veggie stir fry with soy sauce, garlic, and Sriracha. One cup of tofu has 20 grams of protein. Typically, I will have about 1/2 cup of tofu, helping me reach 100% of my daily protein. Plant based protein powder. Because I make sure to sweat daily, my body needs more protein than the daily recommendation. For breakfast, I typically have a smoothie, and I always add plant based protein powder to the mix. My go to? Amazing Grass Superfood Protein. I know it is made with all clean ingredients and BONUS provides: 20 grams of complete plant-based protein (an extra 36% of daily protein), 7 alkalizing greens, and 2 full servings of fruits and veggies. Knowing I fueled my body with amazing superfoods from the get go helps me conquer the day! So that’s my take on getting to 100% the daily needed protein without meat. Thoughts? What’s your go-to vegetarian friendly protein? Join Fit Approach’s #SunnySideUpEB Instagram Challenge this week for the chance to win free eggs and swag from Eggland’s Best Eggs! Check out the daily prompts here! 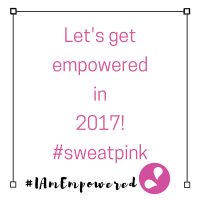 Use the hashtags #SunnySideUpEB #SweatPink #PutAnEggOnIt to participate! Disclosure: Eggland’s Best and Amazing Grass are Sweat Pink Partners; however, I was not compensated for this blog post…I just love both food companies and use them on a daily basis! As always, opinions are my own. Next Post I googled self-love and am following the directions.